Two-way bilateral trade between South Africa and Peru has grown from just over R800 million in 2016 to almost R1.5 billion. South Africa is ready to do business with Peru, the department of trade and industry said at an investment seminar marking the start of a mission to help local companies look for opportunities in the South American country. “The purpose of this mission is to promote closer cooperation in entrepreneurial sectors of both Peru and South Africa. 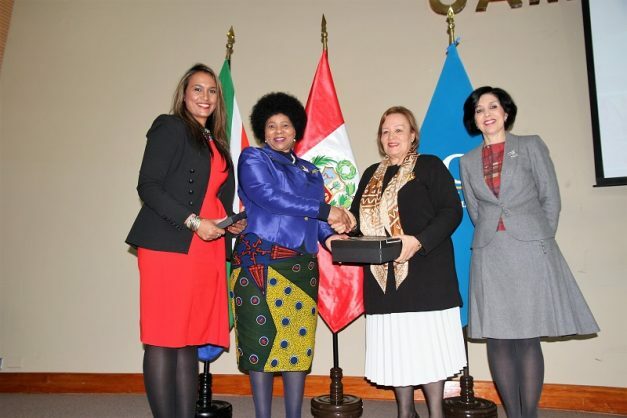 This is done in order to stimulate and explore trade opportunities, to identify potential trade partners, and to analyse possible integration alternatives,” the South African Ambassador to Peru, Rachel Rasmeni said. She told Peruvian business officials that South Africa was on a path of economic renewal which included improving its investment environment through a clear economic programme and plan. At the seminar attended by companies in mostly the mining and agro-processing sectors, Rasmeni said the South African government had prudentially embarked on an agricultural land reform process and the transformation of the mining industry in a way that would create new investment opportunities.